There’s something in the air and it sure ain’t airstrikes! Tis’ the season for love, baby, L-O-V-E! 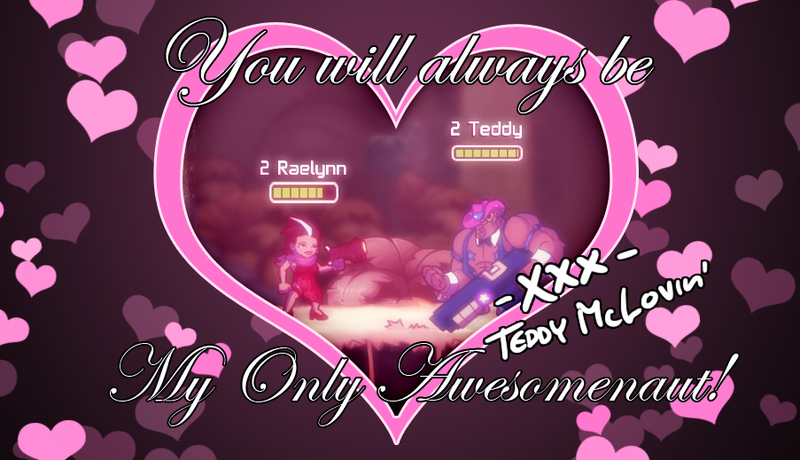 We’ve added a whole lot of hearts and fancy decoration to all the Awesomenauts levels. Pour your loved one a glass of fancy red wine, and take him/her out to a wormy dinner on Sorona or celebrate your love on a romantic stroll through the forests of Ribit IV! Enjoy the fancy heart shaped decorations together and make love not war baby!